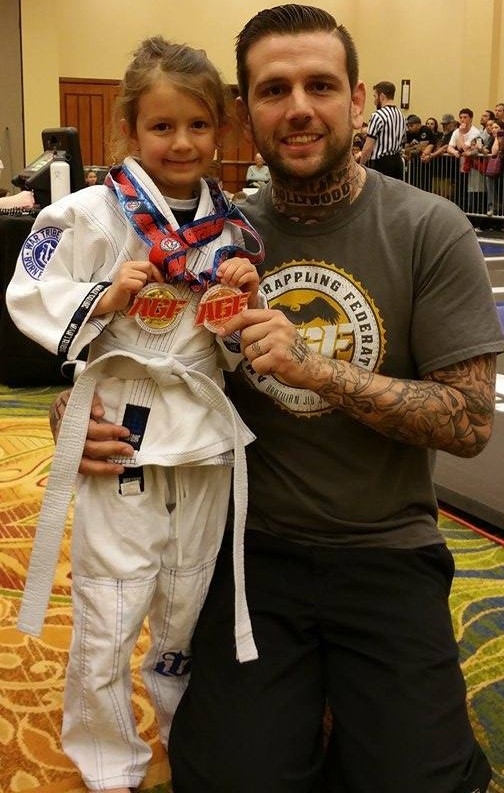 Controversy in BJJ can mean the death of a career but in the case of Brandon Quick (BQuick BJJ/American Grappling Federation) he has shaken off the rumors and stifled the naysayers. Quick has faced a multitude of scrutiny over the one thing in BJJ that in the upper echelons of society is the equivalent to Obama’s record of birth. It is his certain (yet uncertain) lineage. Once a question of lineage occurs, it appears that the whispers never quite go away. Quick seems to have dropped into the MMA world out of no where and then built an Empire (BQBJJ Sweden, Belgium, Italy, Trinidad, & Tobago). You were an active duty member of the military (Army). Tell me about the time you served and how much influence that service had on your decision to make your life about MMA? I joined in 99 and was in Basic by 2000. I am an OEF/OIF 1 veteran, 2003-2004. The military was a huge learning experience in my life. It taught me about different cultures, what they think is right, what we think is right, discipline, being forced to do things you don’t want to do. It also teaches courage, camaraderie, team work and survival. I fully support our troops and vets. I just don’t support the decisions our leaders make on things sometimes. I started martial arts before the military so the Army did not spark an interest but it has always made me think of training as a death game. At its core, martial arts training is about surviving a fight. You have a family, a support system, talk about this and how it has helped you all these years as you achieved your goals. Fortunately, my father helped me get on my feet in Studio City and Hollywood when I moved back to California and has always been an influential figure in my life. I later moved with my wife Veronika to Texas in 2007. Since then we have had 2 kids, Valentina (6 and already competing regularly) and Gavin who is 3. My family is why I hustle so hard. I have always been a go getter and hard worker but once my kids were born, I hit turbo! I also have a daughter Jordan who lives primarily with her mom in Montana. Here is the million dollar question (lineage), tell me about your lineage. There is so much drama over your lineage. I find hypocrisy in the fact that many question your lineage yet attend/participate in your tournaments. Does that bother you? I got my rank from Professor Jamie Walsh, a Jean Jacques Machado black belt. No it doesn’t bother me. People talk about haters but I don’t hear nothing from anyone to be honest. My split from Eddie Bravo (3rd Degree Black Belt) was 6 years ago, I did not have a bad split with Bruno, he moved to Midland (6 hours away) after he came back from Brazil. I am better off doing what I am doing. I travel the world teaching Jiu Jitsu at many different MMA and BJJ schools thru the BQuick Jiu-Jitsu Network. I go to Belgium on the 8th and Germany on the 12th of April. AGF has me in different cities within the states a couple times per month. The new friends I have acquired thru AGF is amazing! Plus I now train in practically every city I go to. It has actually grown my affiliate base. There are now affiliates in Texas, Louisiana, Oklahoma, Arkansas and Missouri. Talk is one thing but the results I have don’t show much hate. IBJJF & AGF are vastly different what made you decide to partner with Chris Carlino/start your own organization? Chris is a purple belt of mine so we know each other thru that avenue but we have done a few ventures together before AGF. Killer Apps was an Itunes/Google Play app company he built for online training and websites. We have done a lot together. We are two different personalities but it works and I appreciate him, his wife (Sherrie) and efforts by his family behind the scenes too. AGF is more than Chris and I on so many levels. IBJJF restricts a lot of techniques and is another for Profit Company. It’s America! I opened my own company too. Americans favor Nogi and being allowed to do submissions. I do like their organization but not their model. AGF wants to provide a cheaper, well run tournament that mom and pops can have their kid do Gi and Nogi, a place where competitors don’t pay $125 for 1 division, 1 match and you’re out. Talk about the first AGF Tournament and the growing pains that have come with having your own organization? How many states? How many full time/part time employees at any given tournament (not to mention participants)? Georgia, Florida, Louisiana, Texas, Tennessee, Mississippi, Oklahoma, Arkansas, Missouri & Kansas this year. Looking at London 2016 too. I wouldn’t say part time or full time. We have teams in different regions but we have a core group. 25-30 workers per tournament. Inking the first deal of its kind, AGF will be hosting a tournament in Disney World this year and will have ESPN coverage for a portion of the tournament. What positive/negative feedback have you received from long-time AGF supporters? Our biggest strength is we listen to our clientele. We keep growing so we have pains like, new mats, new banners, more advertising, more medals, more workers, bigger facilities etc. We are grass roots and wise about expansion so it’s going great for us! Sometimes we run into a facility that’s a squeezed space or maybe hot but we couldn’t foresee it. BQuick BJJ, you travel all over to represent your school, are you traveling for MMA as a whole to do seminars or strictly to teach BJJ? 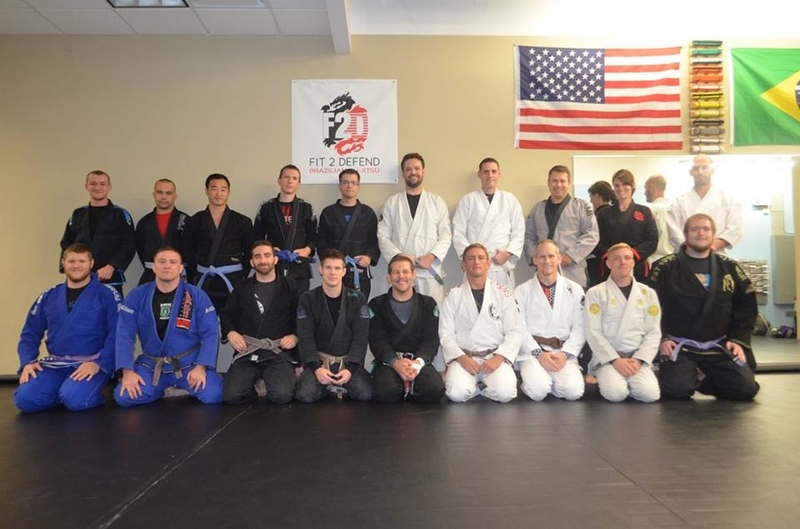 I have trained Muay Thai, MMA and BJJ and teach all those but primarily I travel for BJJ. In Italy for example I may teach 2 hours of Muay Thai or MMA. I coach guys in the UFC, Bellator, Legacy and ammies so BJJ schools that I travel to may use me for some MMA or striking if they have it. Do you have specific training programs for up and coming fighters (MMA/BJJ) those that want to fight in the UFC/ those that are training for IBJJF competitions? I have a handful of people that travel to the IBJJF. It is not the focus of my teachings. I do teach specifically for a tournament or MMA opponent in the classes. For example, if one of my fighters is in camp, we will be aware of the opponents’ strengths and if the school as a whole is attacking a certain tournament, we will play those rules. In general my guys understand points and are well rounded grapplers who can score, sub, leg lock, wrestle and berimbolo too. We embrace all parts of Jiu Jitsu and grappling arts. Do you have any women only classes? Do you have any thoughts about women only classes? Any thoughts on, “The Blue Belt Curse” in relation to women that train? Being a combat vet you would be better equipped to handle students (male or female) that have suffered from trauma, what advice do you have for gym owners and instructors when dealing with these students? Yes, I dealt with all walks of life in the Army but as a city kid in SoCal too. Be fully aware but also realize you aren’t a doc. There are true cases but there is also chumps parents. It’s part of the business to coach all walks of like. On the mat tho were are all the same. Safety 1st tho! Don’t let bad apples or people that will hurt your school in to train. What are your plans for the next year in relation to BQuick and AGF? The progress with AGF is going great! We added a Qualifier Series where people can win a sub only tournament or earn 2nd and will be invited to the Invitational in Dallas. Winners earn $1000 for their efforts and we will be moving into live stream ventures as well! As for BQJJ, I just keep networking and teaching but most importantly training myself. I believe that staying current to modern BJJ and MMA is the key to not only survival but success. I have a new trip in July. I will train Academia Sniper in Lima, Peru for a week! I just go where the positivity is. There are sub only divisions at the AGF tournaments, would you like to see ALL BJJ tournaments go to sub only altogether? We have a Sub Only series but it is not conducive to an organized start time, well organized tournament. It is better for entertainment. People like both parts of the competition game so we offer it. If this Qualifier Series and Invitational does well then we will continue with a Nogi series in September. What is a solid piece of advice you think all competitors would benefit from when picking a tournament to compete in? Know the rules!! If there is one thing (across the board) that you would like to be standardized when it comes to BJJ rules, what would it be? Is there anything you would like to tell a person that is starting out in MMA/BJJ/Boxing…etc? Be humble, be open with your coach as to what your goals are and then be quiet and listen. Any pearls of wisdom you wish you had known that would have prevented injury, aggravation, etc? Train to have a strong neck. 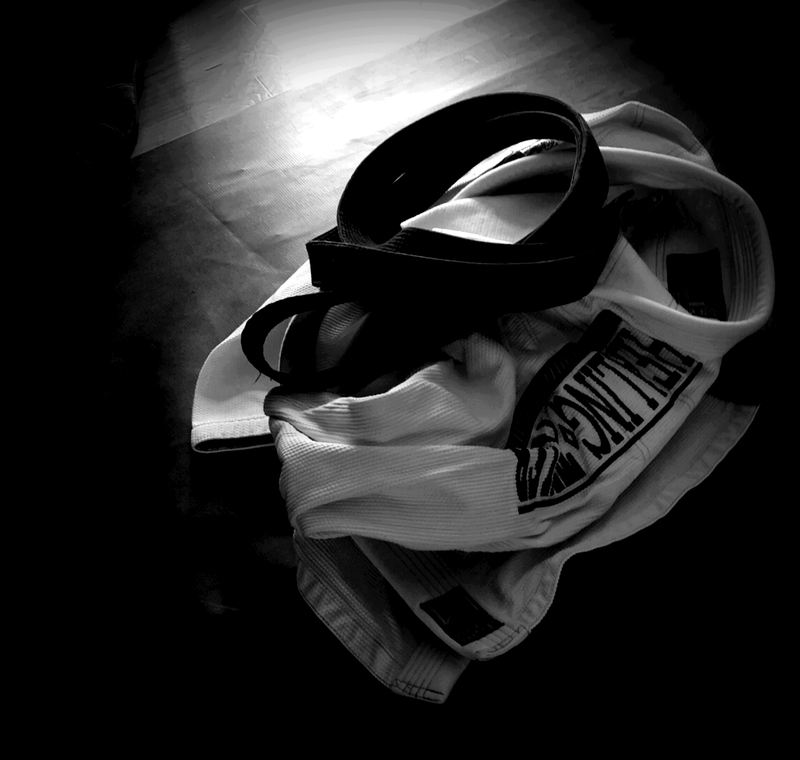 The right gym, the right black belt, what advice do you have for people searching for the right place to be? Try out a few in your area, see what fits you. Martial Arts can be a whole lot about the relationship between you and your instructor. If you don’t vibe, go to a place where you do. In the end everyone is happier and we all want to be happy. Now, will people stop riding Quick’s jock over his lineage after this interview, I highly doubt it, with success comes those that will always question how you got to where you are. That just comes with the territory. Before building his own empire, Quick spent multiple tours in the Middle East dismantling one. With tours in places like Fallujah he was already accustomed to extremely intense and high pressure situations. Leaving the United States Army for the competitive world of MMA must have seemed like a vacation. Naysayers can say what they like but Quick has been bred to handle the gravity of the situations put at his feet and as they say nay just watch him say oh yay.